I'm actually surprised we don't have this thread already. Post anything bike/history related. Fair warning, most of my posts in this thread will be photos of bikes in use during WWI and WWII. "Cyclist No. 3 without realizing it, is an ally of Hitler"A few spokes shy of a wheel. huh?All you white kids look alike when you're still covered in baby fat, so I was getting bored with the non-stop WASP parade. roburrito: "Cyclist No. 3 without realizing it, is an ally of Hitler"
scraper bikeeeesomebody turn the lights off on this place already. Every time I see someone with way under-inflated tyres, I will point and yell, "ALLY OF HITLER!" My life just changed. I will now be saying that to the end of time.All you white kids look alike when you're still covered in baby fat, so I was getting bored with the non-stop WASP parade. ^ No words...All you white kids look alike when you're still covered in baby fat, so I was getting bored with the non-stop WASP parade. Who's the gentleman on the right?You said time was infinite, so why the watch wrapped around your wrist? sedition, you REALLY need to come get that book that paul got you. you will be obsessed.Must be awful, being so fluffy. Book? What book? Invite me over.All you white kids look alike when you're still covered in baby fat, so I was getting bored with the non-stop WASP parade. chr|s sedition: Book? What book? Invite me over. wait did i say book? it is totally not a book. the present that paul got you that has been at our house since secret satan. you will luvvvv ittttt. you should catch the tag n brag and stop by!Must be awful, being so fluffy. (when paul is around so he can bestow his gift upon you)Must be awful, being so fluffy. I only noticed the dude photobombing in the back with what is probably an old-time growler, and that just makes it even more awesome. I just love the concept of a cross country bike ride without support or a team car handing you your next bottle of Heed, and instead just stopping in a village for a bowl of soup, a bit of bread and a glass of wine. Because that, my friends, is the life. ^ /end thread.All you white kids look alike when you're still covered in baby fat, so I was getting bored with the non-stop WASP parade. Cyclo Gears 1938 catalog cover. This could totally be next tattoo. Awesome. That Bates cover is mindblowing. ^ Whoa. Hadn't noticed that, but yes.All you white kids look alike when you're still covered in baby fat, so I was getting bored with the non-stop WASP parade. The caption at the bottom basically says, "The cyclist, who very much devoted himself to alcohol, had a fork fracture." Photo says it all. Spotted this in Porter Sq today. Rod brake system. So awesome. Thought the same! "Dude's just smashing fructosenormativity, lay off." Just scored this off UK eBay. 1939 3-speed Sturmey Archer AW hub for my WWII bike project. You guys, the British Library just started posting a bunch of public domain photos to Flickr. 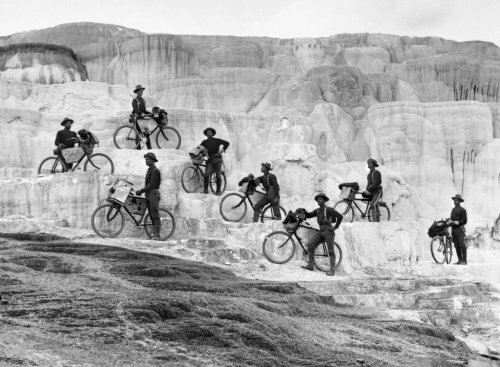 Stumbled across this image for the bicycle corps at Yellowstone in 1897. 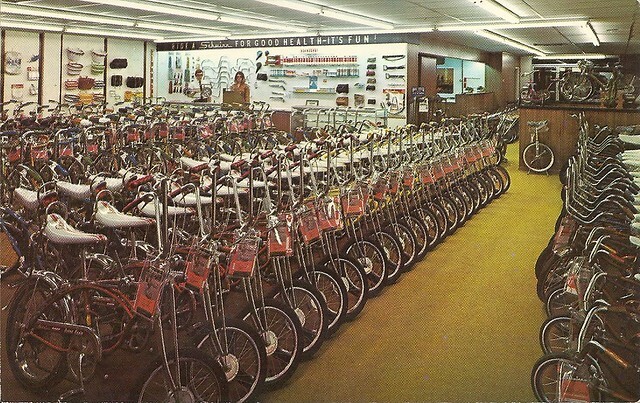 A fleet of Schwinn Krates awaiting new owners in the 70s. Look at that dude at the counter, what a boss. 'Cause i always say i love you when i mean turn out the lights. My dad recently got some Providence newspapers from 1897. 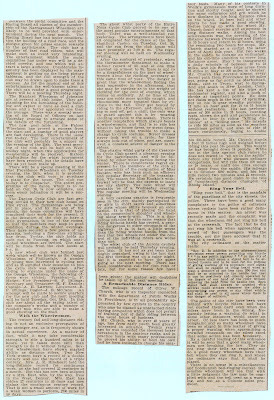 At the time the paper had a cycling column. Here's a scan of one. The "Types of Chainless Wheels" section describes shaft drives similar to the modern ones, and a bizarre idea for "the transmission of power by means of balls". I think the 'transmission of power by means of balls' is referring to something like this patent from 1896. 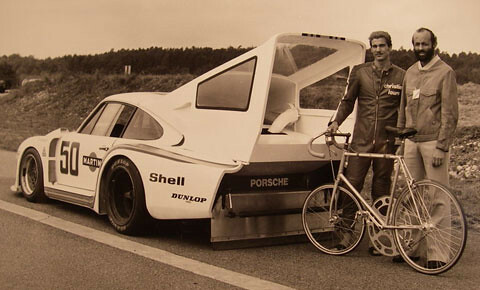 It's a fixed gear. I have no idea if this actually worked or was ever manufactured.. I can't find any mention other than this patent. The patent says "The tubes E' E2 are either attached to the lower braces or substituted for them". I think this means that the balls could run through the chainstays from the bottom bracket to the hub. This would result in an apparently 'magical' and very minimal-looking bike that works but has no visible connection between the cranks and rear wheel. Jaw. Floor. This is an amazing find. Thanks for posting.All you white kids look alike when you're still covered in baby fat, so I was getting bored with the non-stop WASP parade. all well and good but i'd like to this fucker pedal up prospect hill with a twelvepack. nerdo: ^^Is it me or would that ball bearing drive have to be built through the rear hub body, making it impossible to change rear wheels without lacing them directly onto the bike? The patent doesn't explain how the wheel would have been installed.. I'm guessing that the chainstays / tubes would end in inward-facing holes that would line up with outward-facing holes in the cones of the hub. This is awesome. RAF cadets learning the art of formation flying on bicycles. 1942. 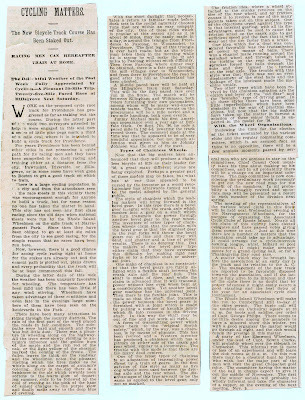 My dad has a few months of the 1897 Providence paper. I'll be looking into getting the cycling columns from all of them scanned and posted. Should be lots of interesting material in there. French Cyclist Plays Role in the D-Day invasion of WWII. An important role was played by Georges Mercader of Bayeux, a former professional cyclist, who also owned a local bicycle shop. He lived near the coast that would soon become the infamous Omaha Beach. Because he was a noted French racing cyclist, the Germans made an exception to the nigh time cycling curfew for Mercader, and allowed him to practice at anytime. He was also a chief member of the French Resistance. Under the pretence of training, he pedaled up and down the Normandy coast compiling details of German defenses and naval activity. Asked to report on the key gun emplacement at the cliff-top Pointe du Hoc, Mercader spotted that the main battery had inexplicably been moved inland. Sadly his urgent message sent back to London a few days before D-Day was lost in transit, so the daring and costly attack by US Rangers went ahead on June 6 with no change. Prior to the D-Day invasion, the BBC broadcast a serried of codes to French Resistance leaders. Mercader was among those ranks. One the night of June 5th, a 10:15pm, he heard on the BBC radio that it was “It is hot in Suez,” the signal to begin sabotaging telephone cables. He mounted his bike, and pedaled quietly into the night to notify his colleagues to start cutting local telephone communication links. 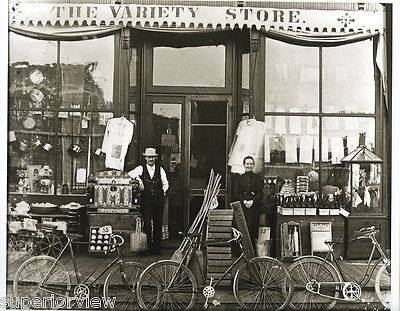 I love the idea of bike shop being a radical hot bed of anti-Nazi activity during WWII.All you white kids look alike when you're still covered in baby fat, so I was getting bored with the non-stop WASP parade. ^ !All you white kids look alike when you're still covered in baby fat, so I was getting bored with the non-stop WASP parade. 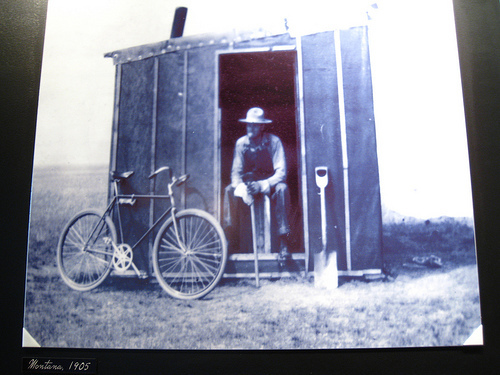 "The bicycle brigade at Lockheed Vega Aircraft Corporation. Employees living within four miles of Lockheed's plant may purchase bicycles through the company and resell them to the company when need for them no longer exists. This mode of transportation is becoming increasingly popular, and has resulted in the sale of 2400 bicycles in record time. This is part of the swing shift on the way home at 12:30 am"
From NPR: "During the Great Depression, photographers fanned out across the country to capture the United States. The photographers continued taking pictures during the early 1940s, when the country was focused on World War II. ETA: Here's another good one, with a bonus kitty. Nottinghamshire County Council has an online exhibit on Raleigh with lots of great images from their archives.